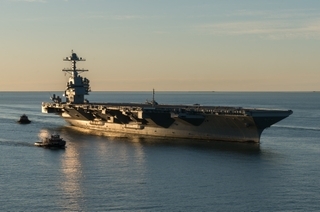 NEWPORT NEWS, Va. (June 1, 2017)--Huntington Ingalls Industries (NYSE:HII) announced today that its Newport News Shipbuilding division delivered the first-of-class aircraft carrier Gerald R. Ford (CVN 78) to the U.S. Navy on Wednesday. 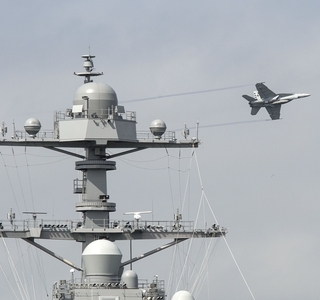 The aircraft carrier successfully completed acceptance trials on May 26. Ford is the product of years of construction, planning and design. 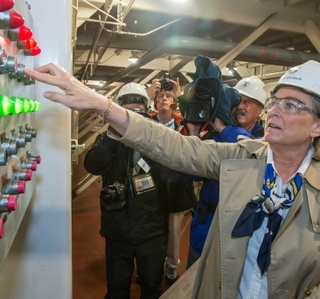 More than 5,000 shipbuilders in Newport News and thousands of suppliers across the United States contributed to the first-of-class ship. 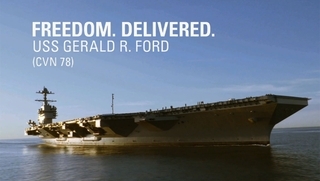 Gerald R. Ford is the first in a class of next-generation aircraft carriers designed to replace Nimitz-class aircraft carriers. 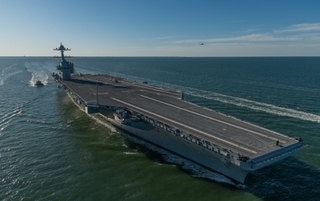 The Ford class features a new nuclear power plant, a redesigned island, electromagnetic catapults, improved weapons movement, an enhanced flight deck capable of increased aircraft sortie rates, and growth margin for future technologies. 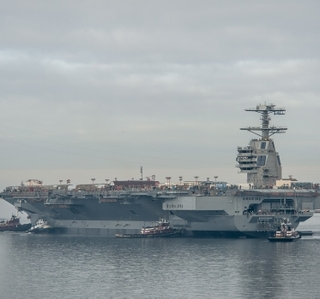 Each Ford-class ship will operate with a smaller crew than a Nimitz-class carrier and will provide $4 billion in total ownership cost savings for the Navy. Aircraft carriers provide sovereign, mobile U.S. territory and are a visible symbol of U.S. power. They are the centerpiece of our nation’s security strategy and support and protect the global economy through the protection of sea lanes around the world.